WASHINGTON, D.C. – U.S. Senate Majority Leader Mitch McConnell (R-KY) announced today the Senate passed the Agriculture Improvement Act of 2018 (Farm Bill), which takes serious steps to ensure the future of American agriculture. A conference committee made up with members from both chambers will now reconcile the Senate and House versions of the Farm Bill. Content courtesy of the National Hemp Association. Please visit Pure Hemp Botanicals for all of your CBD Needs! Have you heard? On Wednesday June 13, 2018 the senate agriculture panel passed the Agriculture Improvement Act of 2018 which included Mitch McConnell’s Hemp Farming Act. 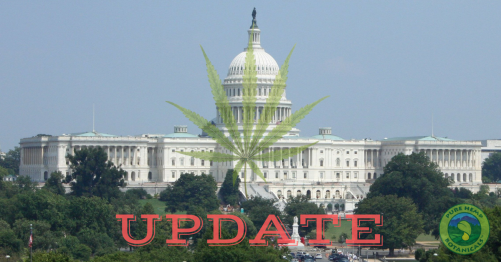 “McConnell’s hemp legislation, known as the Hemp Farming Act, is included in the Senate’s farm bill and would remove industrial hemp from the list of controlled substances under federal law. This is a huge positive step forward for the Hemp industry! Please join us in a little happy dance as we continue to watch this unfold! We’ll keep you updated as it continues on down the political road!